XI’AN – International law is present even here in northwestern China. Indeed, an international institution has played a key role in the development of Xi’an into a moderate-sized city – moderate by Chinese standards, as Xi’an’s population’s of 8 million is considerably smaller than Beijing’s 19 million and Shanghai’s 23 million. 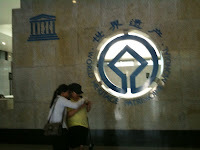 That institution is UNESCO, the United Nations Educational, Scientific and Cultural Organization. 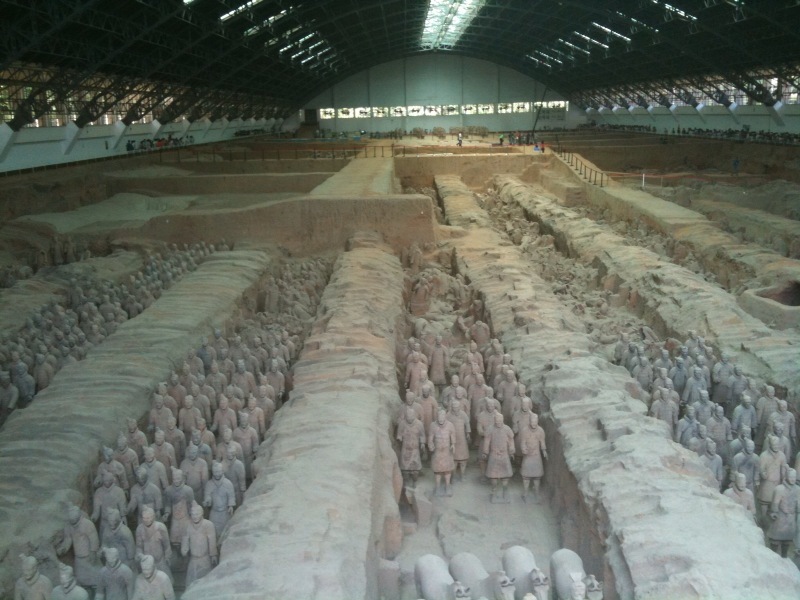 As told by our excellent tour guide, Connie, UNESCO put Xi’an on the map in 1987, the year it inscribed the Mausoleum of the First Qin Emperor on its list of World Heritage Sites. If the tomb’s official name doesn’t ring a bell, its contents will. 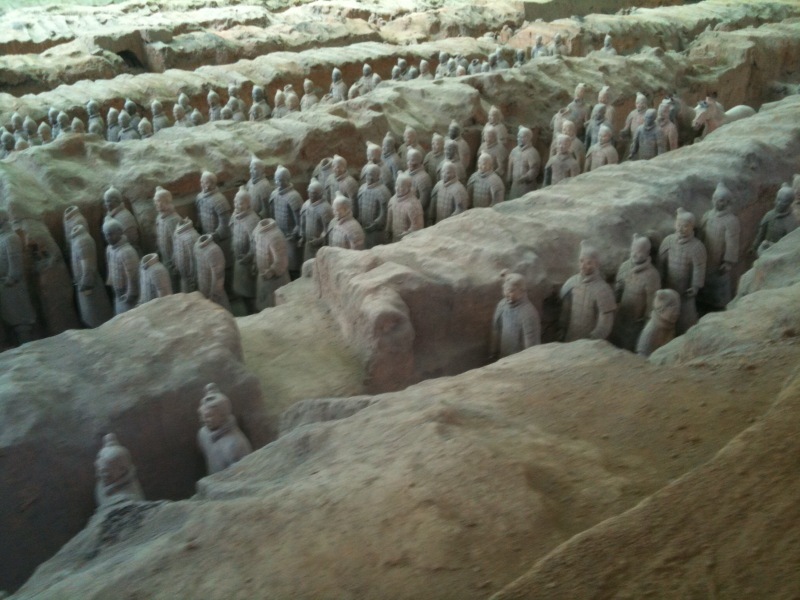 This is where China’s terracotta warriors are found. While digging a well in 1974 a local farmer – who even now sits in the museum gift shop and signs books about the site – found shards of decorative baked earth. 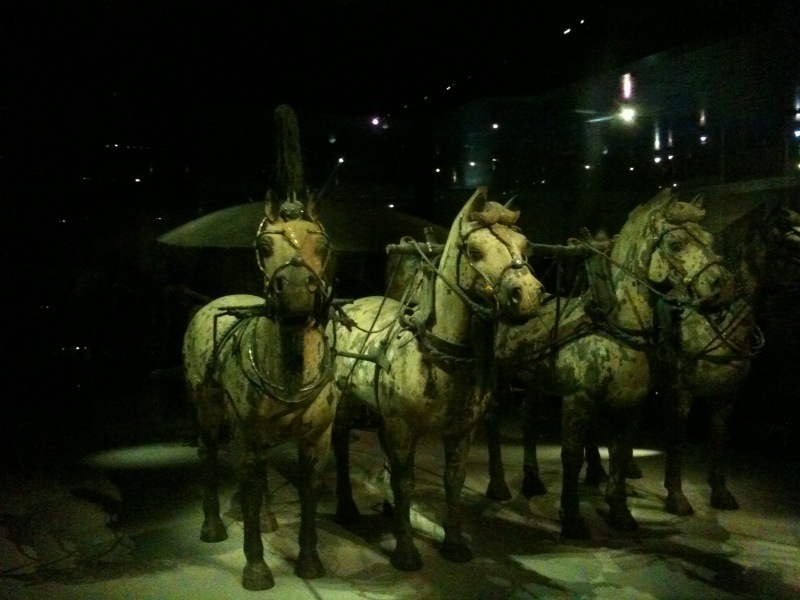 More digging exposed an army of infantrymen, officers, charioteers, and archers, constructed to accompany the Emperor Qin, who died in 210 B.C., into his afterlife. The force is 8,000 strong. What’s more, each figure is different: different hairknots, different armor, different facial expressions. The craftwork is stunning, as is the sight of so many figures in a single field. Today this imperial tombsite includes multiple structures, some of which the international community helped to build. Much remains to be unearthed – some was revealed the very day we visited, as indicated by this video. 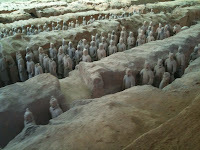 China intends to keep much buried for the moment, our guide explained, for a very good reason. The figures retain the bright colors painted on them millennia ago – until, that is, they are exposed to oxygen. Scientists have not yet figured out how to stop the colors from fading. 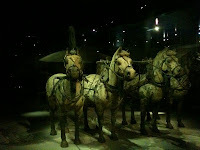 So it will be a while before the world sees the terracotta army, and the emperor it served, in full force. In the meantime Xi'an seems likely to enjoy continued growth, not only from tourism but also from textiles, aeronautics, and pharmaceuticals.